MESPA spans the state with 12 regional divisions. 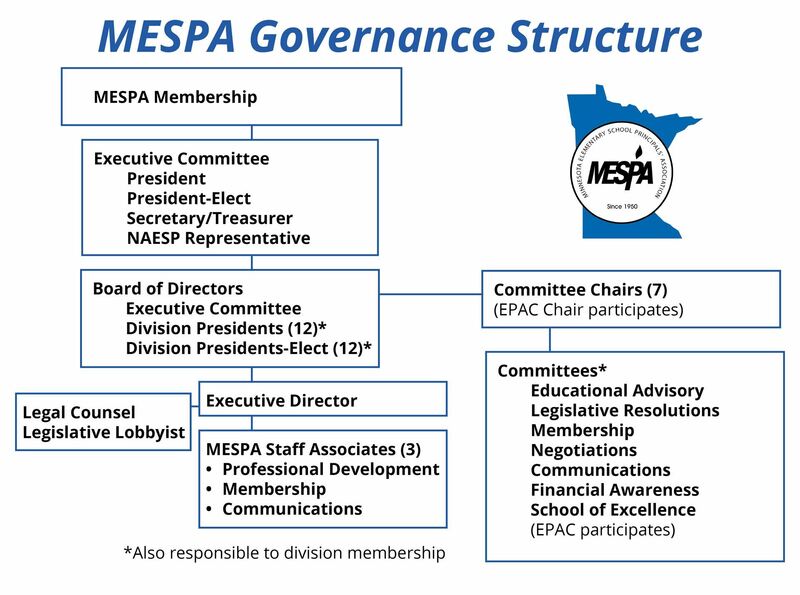 Find out more about MESPA's structure, including Committees, Divisions, State Officers, and Board of Directors below. 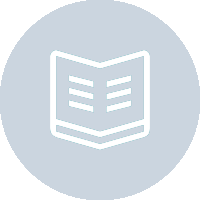 MESPA has eight statewide committees. Each committee has a chair appointed by the MESPA president and includes a representative selected by each MESPA division. Click here to learn more. 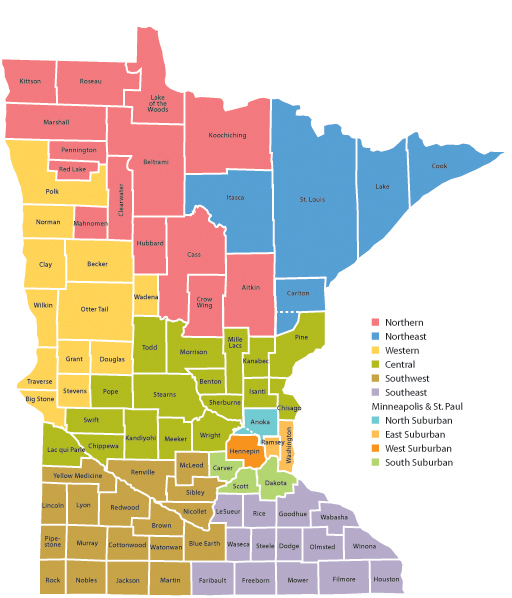 MESPA spans the state of Minnesota with 12 regional divisions. Each division holds regular meetings to network and address the needs of its members. Click here to learn more. MESPA State Officers include the President, President-Elect, Past- President, NAESP State Representative, and the Secretary/Treasurer. Click here to learn more about who's serving you. Nominate and apply for MESPA State Office! We want YOU to run for MESPA state office! Click here for info on how to apply. Do you know a colleague or peer who would make a great MESPA State Officer? Nominate them using this form! After receiving your nomination, MESPA will contact the nominee with details on how they can apply. MESPA is made up of 12 regional divisions that cover the entire state. Division presidents and presidents-elect (from each division). "MESPA is not just being a member of a high calibre association. It is about belonging to an organization that cares about its members in a professional, caring manner. It is about protecting rights and advancing education for students (as well as its members). And, it is a terrific way to connect with colleagues who share a common goal!"